Join Gordon Biersch for their Maibock Marvel tapping party on Wednesday, April 17th from 5-8pm! Enjoy auctions, prizes, and a superhero costume contest! Grand prize for the costume contest is a replica of the Infinity Gauntlet from Avengers: Endgame! 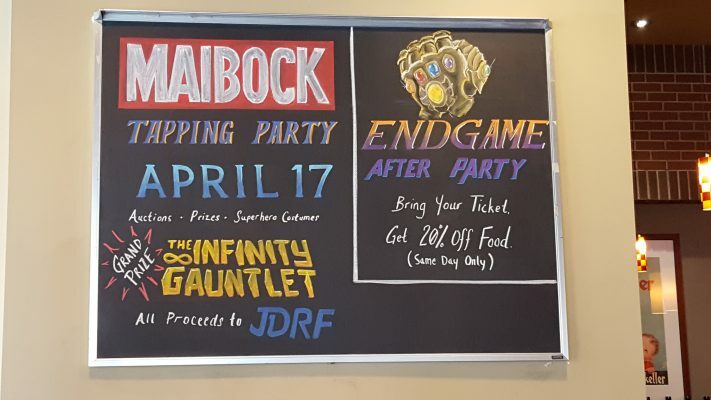 All proceeds of Maibock will be donated to JDRF, a non-profit for Type 1 diabetes research. See Gordon Biersch for more details.